We’ve all done it. The last minute trip to the wine store so that we don’t show up empty handed at that last minute holiday party. Well keep on doing it, but this year shake things up a little with a wine tag from Popptags. 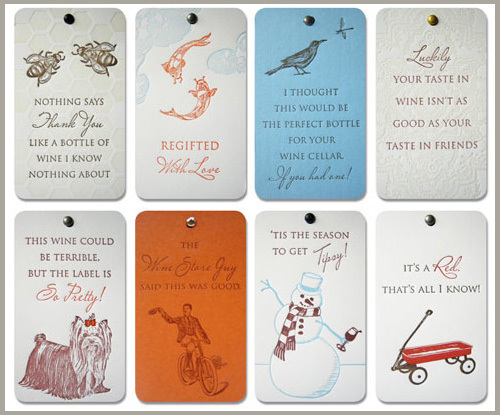 These letterpressed gift tags are sure to put a smile on the face of any hostess and make your bottle or booze stand out from the crowd. I will definitely be getting few of these for the holiday season.